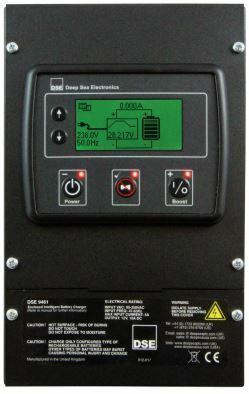 The 10A DSE9461 can be programmed for different charging curves to maximize the life of the battery using a 3-stage charging profile with adjustable current limit (max 10A). This model can be used as a battery charger, power supply or both at the same time. Analog voltmeter and ammeter along with LCD display allow easy monitoring of the charging system. 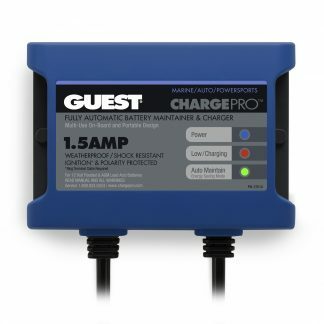 A battery failure contact is linked to the digital genset controller to indicate a loss of power to charger. 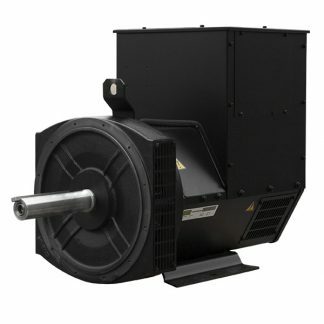 This DSE9461 is required for NFPA110 applications. 6.5" x 4.3" x 12"